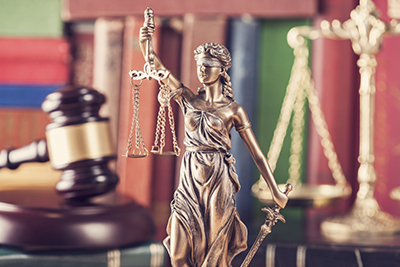 The law is designed to help shield employers from certain claims filed in connection with their hiring or retention of employees with criminal records. The law provides that an employer that relies on a certificate of relief—a court order relieving a person with a criminal record from the collateral consequences of a conviction—in deciding to hire or retain an employee with a criminal record is immune from claims of negligent hiring or retention. To take advantage of the protections provided by the new law, an employer should document both its knowledge of the certificate’s existence and the fact that it relied on the certificate in hiring or retaining the individual. North Carolina law already protects employers from negligence for hiring or retaining employees who have received a certificate of relief, but the new law clarifies that an employer must show that it relied on the certificate at the time of any alleged negligence. Sometimes employers decide not to hire an individual with a criminal record because North Carolina recognizes claims against employers for negligently hiring or retaining employees. Such claims are common in industries involving delivery people, service and maintenance workers, nursing home workers, and home healthcare aides. Not everyone convicted of a crime is eligible for a certificate of relief. Since 2011, certificates of relief have been available in North Carolina to individuals convicted of no more than two Class G, H, or I felonies—the three least serious felony offenses—or misdemeanors in a single court session and only if they have no other convictions besides traffic violations. The new law broadens the class of people eligible for certificates of relief. Starting December 1, eligible individuals will include people who have been convicted of no more than three Class H or I felonies—the two least serious offenses—and any number of misdemeanors. Also, convictions of more than one felony in a single court session will be treated as a single felony conviction. Issuing the certificate doesn’t pose an unreasonable risk to the public or any individual. For more information on the new law, see “Law helps shield employers relying on certificates of relief” in the August 2018 issue of North Carolina Employment Law Letter. Patricia Heyen is an attorney with Womble Bond Dickinson in Winston-Salem and an editor of North Carolina Employment Law Letter. She can be reached at patricia.heyen@wbd-us.com.